This innovative design catches any flies or bugs without making a mess. No mess for your convenience! 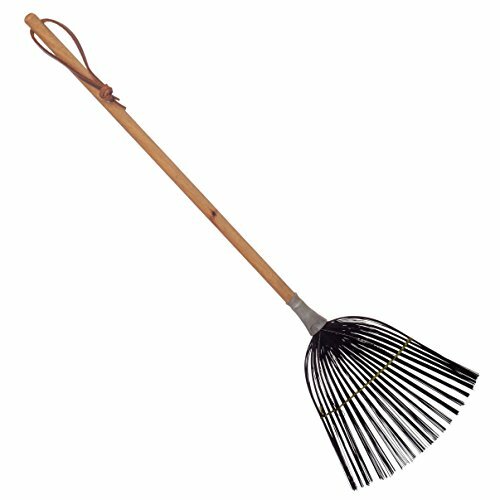 This innovative flyswatter is made of beechwood and steel wire, therefore it is not your typical flyswatter. If you hit the fly you don't need to think about window and wall-paper smears anymore. You can smack insects without fear of leaving a mess in your house because the wires do not crush the insects body armor. Be careful not to hit any electronic screens around the house. Rinse with room temperature water after use. The design of the flyswatter is inspired by the home-and-yard section of the Bürstenhaus Redecker collection. The first handcrafted Bürstenhaus Redecker brushes were produced in 1935. A lot has changed since then. Today the name Bürstenhaus Redecker stands as it has for many years for an ideal combination of natural quality, function and design. It lives from the blend of inventiveness, sound craftsmanship and creativity. Precedence is given to natural, sustainable raw materials.